When it comes to California gold rush history, the city of Auburn has an impressive pedigree. Precious ore was discovered below the town site in May 1848, making it among the earliest gold discoveries in California. Located about 35 miles east of Sacramento, Auburn is one of the best-preserved Sierra Nevada foothills mining towns. When you visit Auburn, one of the first things you notice is how it seems to hang on a mountainside. The town was built in levels—the area at the base of the mountain is the oldest section, with the newer areas built higher up. The original tent town was erected near the first gold strikes in the bottom of a ravine below where the freeway is located today. Like many of these temporary towns, a disastrous fire destroyed the original town and the site was abandoned as the city crept up the hillside. Gold was uncovered by Frenchman Claude Chana, a miner who was a friend of James Marshall, the man who discovered gold at nearby Sutter's Fort and triggered the California Gold Rush. Chana and his companions decided to try their luck panning on the river and found three gold nuggets. Within a few months, a shantytown called North Fork Dry Diggins (and later Wood’s Dry Diggins) had grown up in the ravine. Eventually, more than $75 million was reclaimed from the riverbed and surrounding hillsides. The lowest level of Auburn is called Old Town and is the most historic part of the community (most of it is registered as a national historic landmark). Streets lined with the authentic western false fronts of a frontier town veer off in various directions in the old section, following the original miners' trails. Walking Auburn's streets is a chance to study classic old west architecture. Over on one street is a row of two-story shops lined up like dominos. Steps lead by the fronts of the stores which are all chock full of curios and antiques ranging from vintage furniture to old toys and magazines. Other streets boast atmospheric saloons, candy stores and restaurants. One particularly impressive building is the Bernhard House, which was built in 1851. The house is furnished with period Victorian furniture and is part of a larger museum (called the Bernhard Museum Complex). It’s located at 291 Auburn-Folsom Road. Admission is free. The Gold Country Museum is another excellent small museum which is located at 1273 High St., Gold Country Fairgrounds. Inside, you will find some informative displays about the Gold Rush era, Indian objects, the role of the Chinese in the local mining operations and many old photographs. The museum is open daily from 11-4. A local landmark is the four-story red and white Hook and Ladder Company Firehouse. Built in 1893, the firehouse is actually a tall, narrow tower of a building capped by an interesting cupola. Inside is a vintage fire truck that was California’s first motorized fire engine, and adjacent is a small park with picnic tables. 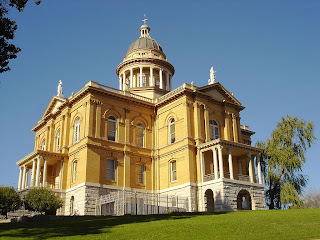 Of course, the building you first notice in Auburn is the stately domed Placer County Courthouse that sites atop a nearby hill and overlooks the town. 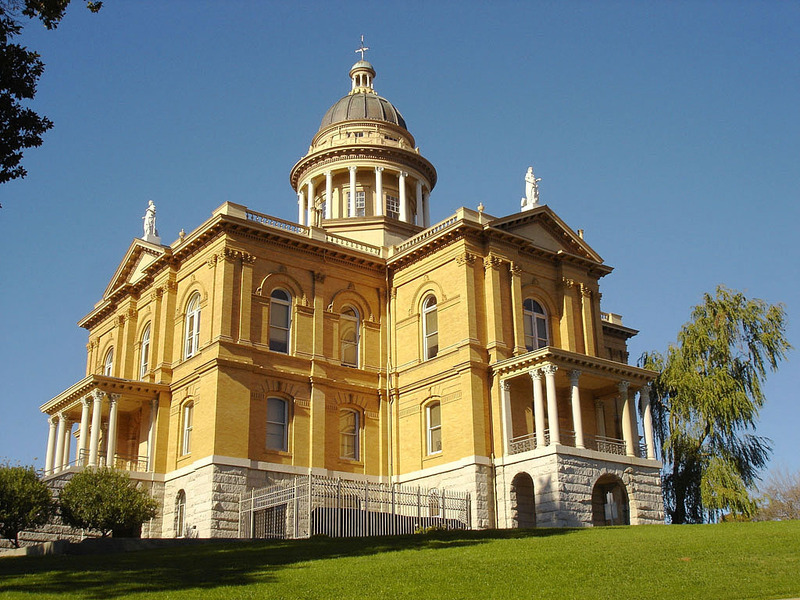 Constructed in 1894, the courthouse was constructed of local materials. Inside the courthouse is the Placer County Museum, housed on the first floor. Visitors to the museum will find an overview of the county’s history and an Indian art gallery. Additionally, several of the original offices have been restored to their 19th century appearances. Down the street from the courthouse is the Pioneer Methodist Church, built in 1858 and one of the oldest structures in the town. The U.S. Post Office in Auburn is also considered the oldest in California. The Auburn Chamber of Commerce offers a free walking tour of the town every Saturday morning at 10 a.m. The tour begins at the Courthouse at 101 Maple Street and runs about an hour. Auburn is located about 120 miles west of Reno on Interstate 80. For more information, go to http://www.placer.ca.gov/. Barkeeps and saloons have long held a special place in the history of Nevada. It’s been said that the first business to open in every 19th century mining town in the state was a saloon. Naturally, the Queen of Nevada's mining camps, Virginia City, was no different. If Dan DeQuille’s estimate regarding the number of saloons in Virginia City in the mid-1870s is remotely accurate—and according to some sources, it’s a bit conservative—that would mean there was roughly one saloon for every 200 people. While that’s certainly not the highest concentration of saloons in the state—at its peak, the mining town of Goldfield was estimated to have one bar for every 132 residents—it is an indication that saloons were common on the Comstock. These days, there aren’t a hundred saloons in Virginia City, but there are several that have bloodlines that stretch back to the Comstock’s colorful past. Most of the Comstock’s saloons can be found on C Street, the town’s main artery and business district (also called State Route 341). While each serves basically the same kinds of refreshments, what makes them unique is their ambiance and, in some cases, quirky gimmicks to make you want to visit. These can range from an allegedly deadly card table to a mural made of thousands of silver dollars. Among the oldest and most colorful is the Delta Saloon, said to have been in operation since 1876. The Delta, at 18 South C Street, is the largest bar in town and a bit boisterous with its rows of clanking slot machines. But it has a comfortable honky-tonk atmosphere with wood-paneled walls, Victorian lamps and a nice brass bar. 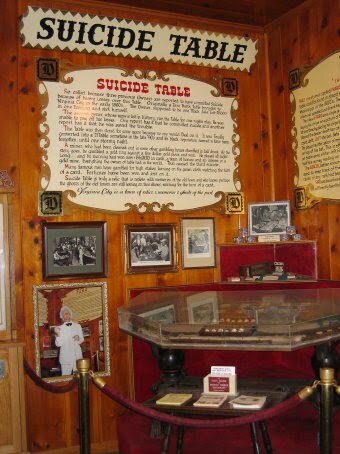 A visit to the Delta should also include a visit to the famed Suicide Table, a 19th century faro table (a card game) that allegedly was responsible for the deaths of several men. Apparently, the deceased were unlucky gamblers who lost heavily while playing at the table and committed suicide. Across the street from the Delta is the Bucket of Blood Saloon. The Bucket of Blood, which claims to also date back to about 1876, features live music as well as a great view of nearby Sugar Loaf Mountain and the Dayton Valley. Up the street is the venerable Silver Queen which is notable for its wall-size painting of woman whose dress is composed of 3,261 silver dollars (with a couple of dozen gold coins for a belt). The Queen also offers slot machines, an upstairs dance hall and a wedding chapel (where entertainers Toni Tennelle and the Captain were married). An entirely different experience can be found at the Ponderosa Saloon, located in the former Bank of California building at 106 South C Street. In addition to the usual libations, the Ponderosa is the only bar to offer a mine tour. A shaft has been dug from the rear of the building that leads to a portion of one of the old Comstock mines. 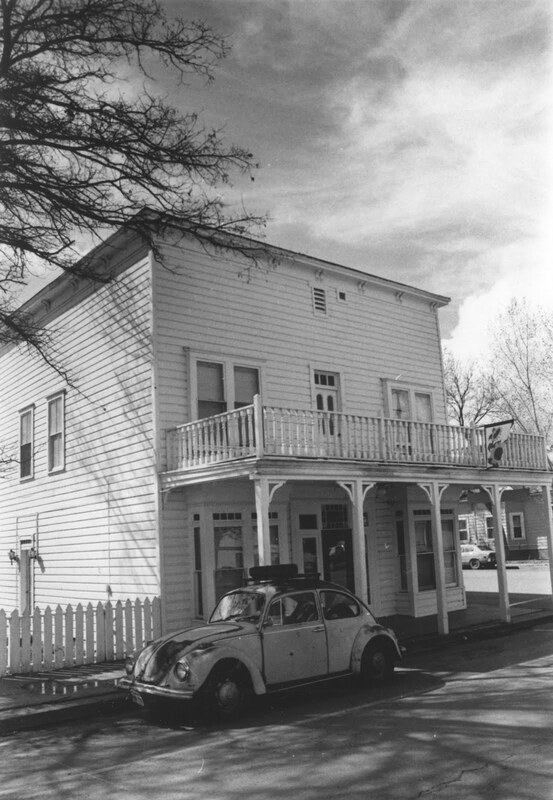 Another Virginia City establishment with an historic pedigree is the Old Washoe Club. This old time saloon, said to have been built in 1875, traces its origins to a Virginia City drinking society whose members were millionaires. The club, at 112 South C Street, has an unusual spiral staircase, listed as the world's longest circular stairs without a supporting pole. There are, of course, a dozen or so other Virginia City saloons, each with some type of claim to fame, so feel free to check them out. For more information about Virginia City’s classic saloons contact the Virginia City Chamber of Commerce, www.virginiacity.com. Over the years, a variety of writers, some famous and others not so well known, have spent time in the Silver State and departed affected by the experience. While Mark Twain is perhaps the best known of these literary lights who was changed by staying here for awhile, there are others who have been equally touched by a close encounter with the broad expanses of Nevada. Twain, who spent about two years in the state in the early 1860s, wrote a book about his Nevada experiences, “Roughing It,” which was published in 1872. 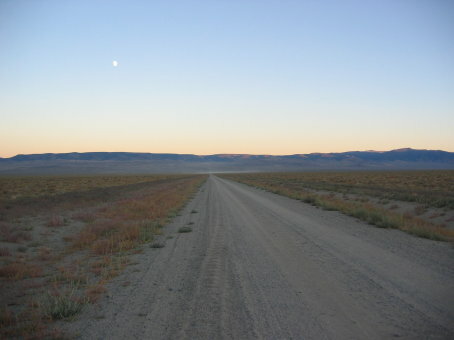 The writer poked fun at many aspects of the state and in particularly the inhospitable nature of parts of Nevada. Is there anything more that could be said? Many Nevada communities have discovered that visitors love to hear about a town’s history and folklore because it helps to make the place come alive. One of the most popular ways that towns are telling their stories is with historical walking and driving tours that guide visitors through neighborhoods, pointing out commercial buildings, public structures and houses of historical significance. 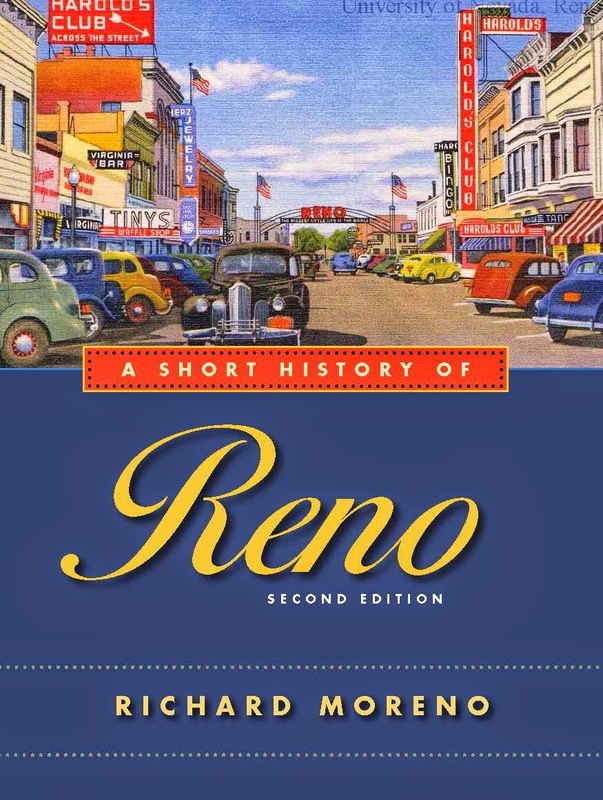 Among the Nevada communities that have produced an historical walking tour guide in recent years is the central Nevada town of Winnemucca, located about two hours north of Fallon. “Take A Walk Through History,” is the title of an informative walking tour guide brochure available for free from the Winnemucca Convention & Visitors (call 1-800-962-2638 to receive a copy). The brochure offers a brief history of the community, which started out as a trading post on the Humboldt River in the early 1860s. In 1868, the Central Pacific Railroad helped establish a settlement there, which was named Winnemucca in honor of a local Paiute leader. A well-designed map depicts the streets of downtown Winnemucca and traces a one-and-a-half to two-hour walking tour of the community’s most historic treasures. The tour begins at George Nixon’s First National Bank (352 Bridge St.), which was the site of Winnemucca’s most famous bank robbery. It’s generally believed that in September 1900, members of Butch Cassidy’s Wild Bunch gang robbed the bank—although the crime was never solved. • The Turin Brown Mercantile (355 Bridge St.), which was built in 1898 by the Brown family and served as the town’s first hardware and home furnishing store. It has been restored in recent years and remains in use as a business. • The Shone House, built in 1906. This quaint two-story wooden hotel escaped a disastrous fire that destroyed much of Upper Winnemucca in 1919. • Humboldt County Courthouse (5th and Bridge St.), erected in 1921. The classical, pillared hall of justice was designed by noted Reno architect Frederick DeLongchamps. • Winnemucca Fire House (5th and Bridge St.), which was completed in 1935. This sleek, streamlined structure—it has a very 1930s look—remains in use as the town’s fire house. • Winnemucca Hotel (95 Bridge St.), which was erected in 1863 by Louis and Theopile Lay and Frank Baud. The hotel is the oldest structure in Winnemucca and is still in operation as a Basque hotel and restaurant. • St. Paul’s Catholic Church (4th and Melarkey St.), constructed in 1924. This fabulous church boasts Old Spanish mission style architecture with Romanesque features. From the commercial district, the walking tour heads into neighborhoods filled with historic homes. For instance, the Legarza Home (451 W. 2nd St.) was originally owned by local banker George Nixon (later an U.S. Senator from Nevada). Nixon sold the house in 1908 to prominent local sheep ranchers Juan and Florenzia Legarza, after whom it is named. Nearby is the magnificent Reinhart Home (343 W. 2nd St.), which was constructed in 1909 for Simon Reinhart, part owner of the Winnemucca Bank and Trust Company. Built in a Greek Revival style, the house was one of the most impressive and expensive houses erected in the town at the time it was completed. Across the street from the Reinhart Home is the two-story, bungalow-style Turin Brown Home (322 W. 2nd St.), which was constructed in 1913 by the owner of the town mercantile. The W.C. Record Home (146 W. 2nd St.), which the brochure describes as having been built in the “Victorian, vernacular gothic revival-style,” was erected in 1874 and is one of Winnemucca’s oldest houses. Listed on the national register of historic places, the two-story house has largely retained its original appearance and is used by a commercial business today. Around the corner from the Record Home is the Gables Guest House (124 Lay St.), which was completed in 1903 and originally used as a sanitarium. It served as the town’s main surgical hospital until the community opened its own hospital in 1908. Apparently, sometime during the next decade it was converted into an apartment house, which it remains today. A few doors down is the Schmidt Home (82 Lay St.), a solid redbrick house built in 1911 by the Schmidt family, which operated a boarding house on Bridge Street. A fire destroyed the house’s second floor in 1969 but it was rebuilt as a one-story structure and today is home of a graphic arts studio. In Winnemucca, there's history on nearly every street.